Many experienced homeschoolers have long valued the ability to delay formal academics to create a more holistic early childhood education for their young children, with the understanding that this creates a rich foundation for later academic and life success. Today, parents new to homeschooling are embarking on homeschooling at a time when public schools are emphasizing early formal academics and implementing standardized testing of very young children, despite lack of evidence that these practices enhance educational outcomes for the children. Why, when we know what is good for young children, do we persist in miseducating them, in putting them at risk for no purpose? The short answer is that the movement toward academic training of the young is not about education. It is about parents anxious to give their children an edge in what they regard as an increasingly competitive and global economy. It is about the simplistic notion that giving disadvantaged young children academic training will provide them with the skills and motivation to continue their education and break the cycle of poverty. It is about politicians who push accountability, standards, and testing in order to win votes as much as or more than to improve the schools. So new homeschooling parents are opting out of public education — what is seen as the norm for our society — at a time when the push for early academics is at a peak. In some cases, this is one of parents’ reasons for homeschooling. They either instinctively know or have done research to learn that play and responsive, rich experiences that develop imagination, curiosity, confidence, and pre-literacy/numeracy skills are more effective in the long run than scripted instruction and bubble tests. They have seen the impact on their own kids if they attended school and on other children they know, who may have transformed from interested learners to reluctant school attenders and sour homework-doers — by age six or seven. 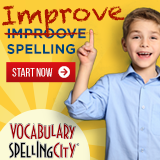 Other kids who easily learn the skills and memorize the content required simply find no challenge in this atmosphere, since the emphasis on every student meeting the minimum standard leaves them repeating work rather than engaging in new material. Of course, not all schools are as draconian as this, and many teachers do a good job to keep the light of learning burning even as they carry out the early academic training. But my teacher friends tell me this is becoming harder and harder to do in today’s environment. They are under intense pressure and have to follow the instructions handed down to them. New homeschoolers have the opportunity to do it differently. You can make a conscious decision to create an atmosphere that meets children where they are individually and developmentally. 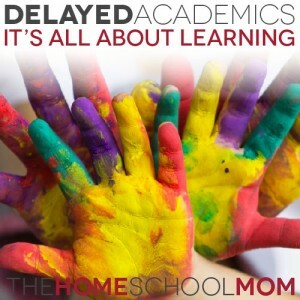 First, recognize that delayed academics is not new to homeschooling and not something that has just come up in the homeschool world in recent years as this latest educational push for early academics has hit the schools. As I wrote in an earlier post on delayed academics, this idea has been around for decades in home education circles. Familiarize yourself with the history of the concept of delayed academics in homeschooling. Spend time exploring nature and the outdoors. Take your children to pick apples, strawberries, and pumpkins. Walk with them in the park or woods, picking up leaves and looking at insects and squirrels. Take photographs, make sketches, tell stories. If you are able, visit landscapes that are different from your own — the beach, the salt marsh, the mountains. Build and use a library of field guides. Make art with your children. 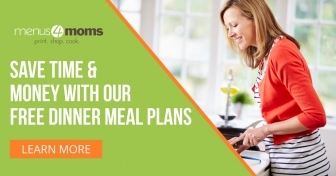 Rather than giving them assigned worksheets, sit down and draw and paint with the kids. Talk about what you are making. Ask your children questions. Be interested in the life going on in their minds. Ask follow-up questions. Listen. This is part of a process known as inquiry-based learning. Respect your children’s questions. One of my sons asked so many questions at a young age that we made a little list of them for the refrigerator and “homeschooled” for a couple of years mainly by seeking answers to his questions — at the library, by finding experts in our community, through internet research. Many of his questions were related to science and social studies, so our explorations ended up giving him more than an elementary knowledge in these subject areas at a young age. Consider unit studies for young children. My son’s questions (above) often led to unit studies. Learning everything you can about one subject as a family is a low pressure way for kids to learn at their own level of development, without pressure of minimum standards of learning. Encourage dress-ups and imaginary play. Keep dress-up clothes and props in easy reach, as well as sheets for making forts. Make books with your kids. Encourage your kids to tell stories and write them down, inviting them to make illustrations or decorate the pages. Read them aloud. Read them to grandparents. Make an annual calendar with your children. 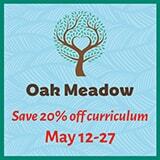 Help them learn the days of the week, the seasons, the months of the year, in a relaxed and inviting way. Include your child in the work and volunteer service of the family. Do hands-on projects — from making crafts to building a chicken coop, fence, or lemonade stand. Learn about and care for animals. Take field trips. Go places that will be engaging. Don’t forget physical education. There is a lot of evidence that movement affects brain development. Give your young children plenty of opportunity to run, climb, dance, swim, ride a trike or bike, play with a ball, and exercise their flexibility and strength. 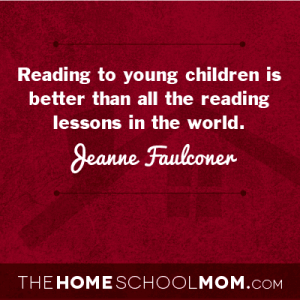 Read Julie’s “Best Curriculum for a Six Year Old” article in its entirety here. Her post will give you more ideas and support for what you can do with your children rather than pressuring your child for the early attainment of academic skills. Sometimes new homeschoolers feel uncertain when doing things so differently from schools, but it’s important to keep in mind that while many public school teachers would love to offer more of these experiences to their students, in some schools they simply have too many students, too few resources, and an atmosphere of accountability and testing that requires scripted teaching and less time for innovation. However, you can innovate. You can decide today to stop fretting over formal academic lessons that aren’t working. Instead, you can take a walk with your young children to discuss the red and gold leaves of October, the seasonal end to Daylight Saving Time, the cultural origins of Halloween, the need to care for others even when it’s not Thanksgiving, the number of birds on the clothes line, the acorns that the squirrel is scurrying to bury, the new Little House book you have gotten from the library. They call it “delayed academics” — but you don’t have to delay, and it’s all about learning. So very helpful. Thank you for sharing your ideas!! We need to be reminded of this. Counter cultural but so effective. Before reading this info i was very nervous to homeschool my 4yr old but this has given me confidence and it confirms that we’ve been doing something right! I am motivated! Love, love, love it! As I was reading through your suggestions I realized we are already doing many of these things and what we are not yet doing she is asking for. Thanks for a great article! I don’t even view it as ‘delayed academics’. I mean, learning never stops as your article clearly conveys. I would say, ‘Delayed Formal Academics”. Another wonderful piece Jeanne. Sharing!